It is not a secret that employees are the driving force of a company and that they should be engaged and productive in order for the business to progress. But, there is not such a thing as a market where you can find motivated employees – you’ll have to grow them. There is one way to instill the passion for work in employees – show them that you care about their needs. Here are some strategies that will help you keep your workers happy and consequently, enable your business to thrive. Although current financial stability plays a major role in employee satisfaction, the future prospects also have to be considered by the employers, since many workers are also troubled by thoughts of their future after they are no longer capable of working. If you offer your workers retirement benefits you will also give them a very good reason to stay loyal and committed to your business for the long haul. Working overtime is a true modern-day disease, but no one actually benefits from workers who are pushed beyond their limits. You may think that the employees are the only ones on the losing side of this game, but the company is on the loss as well, because sleep-deprived and exhausted employees are far less productive than the ones that are at the peak of their performance. Try not to push your employees to stay beyond their working hours or to do business tasks in their free time, unless that is completely necessary. There is nothing more monotonous than doing the same job day after day, and the thought that you are stagnating for years can only ruin your motivation. Your employees might feel this way if they are not treated with new experiences and given new opportunities to learn and grow. Training your employees for new challenges can only help your business grow, as well. Sure, there are some universal ways to motivate employees, but there is no actual way of knowing what your employees need unless you ask them. Healthy communication at the workplace will result in increased productivity, especially if you don’t talk down to your employees and if you treat them as equal. Each of us needs a pat on the shoulder every now and then, to make us feel like the work we are doing is appreciated. 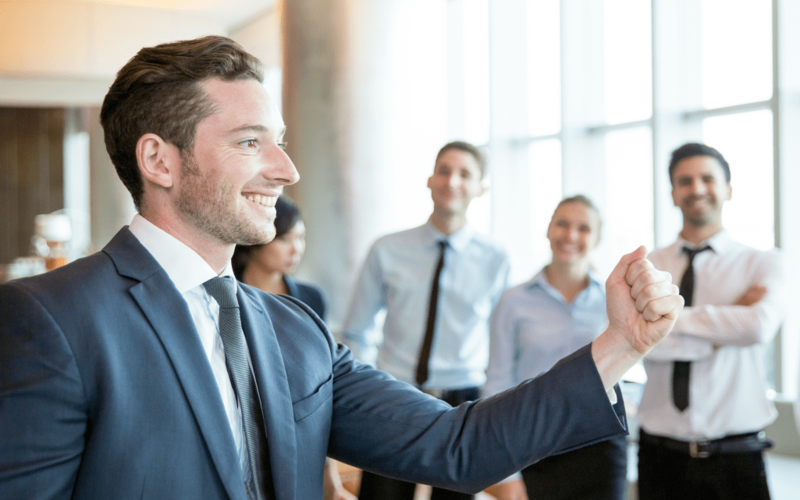 Even when they are not accomplishing major wins in the company, employees who perform their duties responsibly should always be aware that the work they are doing is valued, so don’t restrain from letting them know that they are doing a great job. However, words are sometimes not enough, and there is no harm in giving your employees rewards for a job well done. The rewards can come in the form of an additional day off, financial raise, thoughtful visa gift cards or a personalized gift. It is the intention that counts, but it is best to give your employees a reward that will mean something to them. Insurance, paid time off and retirement benefits are all crucial for employees’ satisfaction, but sometimes you need to go the extra mile to truly be an eligible employer. Unique perks, such as paid gym membership, company vehicle, a room for relaxing or play, masseuse, monthly grooming service and travels might be just what you need if you wish to have an engaged and committed workforce. While assisting your employees with work-related issues is praiseworthy, it is also important to keep your eyes open for their personal needs and problems. This includes showing interest in their families, inviting their significant others to corporate events, helping them with personal issues within your power (e.g. giving a letter of recommendation to a pedantic landlord), giving them days off when they have some major life events, honoring their life achievements and milestones and making time for listening to them. Your employees are not just working bees. They are individuals with their own needs and aspirations. You can’t expect them to care about your company’s success unless you show them that they are an integral part of that company, and that the prosperity of one depends on the other. They need to feel that you, as their leader, are equally invested in them as you want them to be invested in your business.